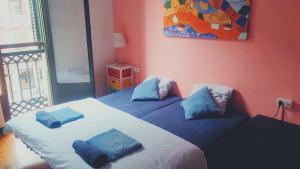 Centrally located on Barcelona’s chic Rambla de Catalunya, the modern Art City Hostel Barcelona is set in a 19th-century building, typical of the area. Accommodation is in private rooms or dormitories. Free Wi-Fi is offered and all accommodation has shared bathroom facilities and feature art nouveau style. Private rooms also have a fan, desk and wardrobe, and some come with a private terrace with street views. Guests have access to a communal kitchen. A laundry and dry cleaning service is available and you can store luggage. Towels can be hired. There is a lift and a safe is available. Staff can provide tourist information. The hostel is next to the Antoni Tapies Foundation. 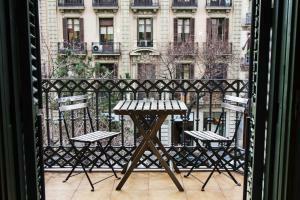 Direct trains to Barcelona Airport leave from Passeig de Gracia Train Station, just 200 metres away. Alternatively, you can take the Airport Bus from Plaza Catalunya, located 8 minutes’ walk away. Towel hire costs € 1 per towel. A laundry and dry cleaning service is available at the extra cost of € 5. Late check-in between 22:00 and 24:00hrs. has to be notified before the arrival as special request and there is any extra charge. If it is not notified in advance, carries a surcharged of € 10. Please note that late check-in between 00:00 and 02:00 carries a surcharge of € 10. The extra fee would be per reservation, not per person. 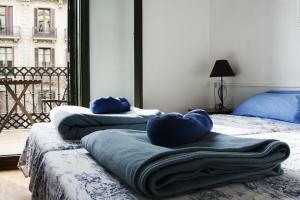 Please inform Art City Hostel Barcelona in advance of your expected arrival time. You can use the Special Requests box when booking, or contact the property directly with the contact details provided in your confirmation. Twin room with free Wi-Fi and shared bathroom facilities. There is also a fan, desk, wardrobe and mini fridge. 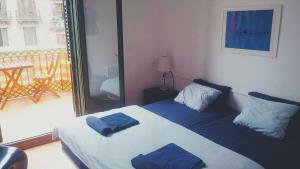 Twin room with free Wi-Fi and a private terrace with street views. There are shared bathroom facilities, a fan, desk, wardrobe and mini fridge. 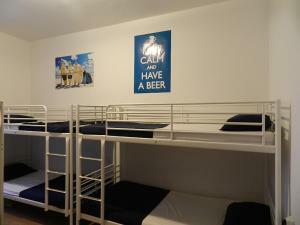 Dormitory with free Wi-Fi and shared bathroom facilities. Rate: € 13.00 ... € 59.90; select dates below to get current rates.